The conference will provide a forum for discussion on developments and applications of Bayesian statistics. The International keynote speaker is Professor Dave Woods from the University of Southampton and the Australian keynote speaker is Professor Matt Wand from the University of Technology Sydney. The format includes seminars, contributed sessions, a poster session, tutorials and workshops. Now closed for oral presentation. You are invited to submit an abstract for academic poster. Please email your abstract to bayes.admin@qut.edu.au by October 31. Registrations close on 31 October 2012. 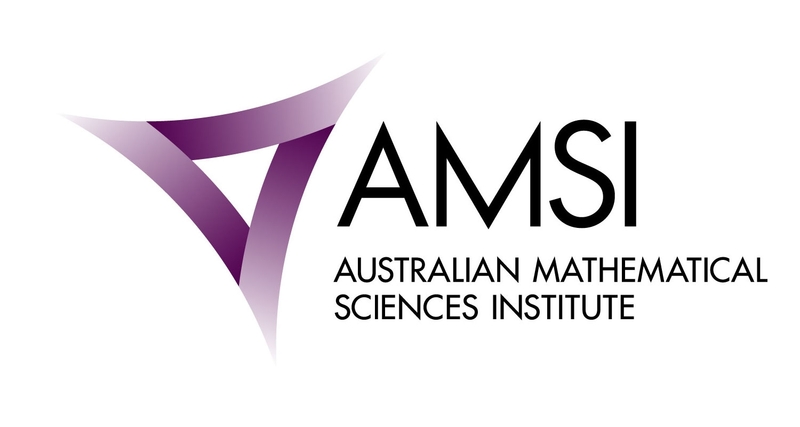 Online registration for members of SSAI or AMSI is available here. Online registration for non members of SSAI or AMSI is available here. Student members of SSAI need to be logged in with their username and password to take advantage of the member rates! Non-member students of SSAI wishing to take advantage of the student rate need to use the hard-copy student registration form and fax it together with their student ID to SSAI, Fax No. 02 6251 0204 or email it to eo@statsoc.org.au. 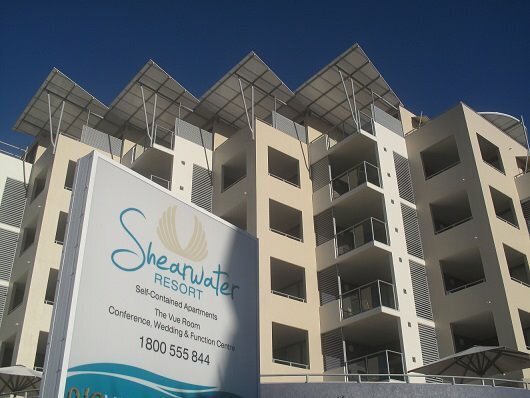 Please contact Shearwater Caloundra Resort to book your accommodation (details below). Professor Dave Woods is an EPSRC Research Fellow and Reader in Statistics in the Southampton Statistical Sciences Research Institute at the University of Southampton, UK. His research interests focus on the design and analysis of both physical and computer experiments, Bayesian methods, and the application of Statistics in science and technology. Much of his work is interdisciplinary and involves collaborations with researchers from other disciplines, and with government and industry. He is a member of the editorial boards of Technometrics and the Journal of the Royal Statistical Society Series C.
The design of any experiment is implicitly Bayesian, with prior knowledge being used informally to aid decisions such as which factors to vary and the choice of plausible causal relationships between the factors and measured responses. Bayesian methods allow uncertainty in these decisions to be incorporated into design selection through prior distributions that encapsulate information available from scientific knowledge or previous experimentation. Further, a design may be explicitly tailored to the aim of the experiment through a decision-theoretic approach with an appropriate loss function. This talk will review the decision-theoretic approach to Bayesian design and then focus on a new criterion for design selection when the aim of the experiment is discrimination between rival statistical models. Motivated by an experiment from materials science, we consider the problem of early stage screening experimentation to choose an appropriate linear model, potentially including interactions, to describe the dependence of a response on a set of factors. We adopt an expected loss for model selection which is a weighted sum of posterior model probabilities and introduce the Penalised Model Discrepancy (PMD) criterion for design selection. The use of this criterion is explored through a variety of issues pertinent to screening experiments, including the choice of initial and follow-up designs and the robustness of design performance to prior information. Designs from the PMD criterion are compared with those from existing approaches through examples. We also investigate reducing the computational burden of the method for experiments with a large number of contending models, through both the use of informative prior distributions and the approximation of the PMD objective function. Some directions of current and future research will also be discussed. Kim-Anh Do is a Professor in the Department of Biostatistics at M. D. Anderson, and a recipient of the Faculty Scholar Award at M. D. Anderson in 2003. She is a Fellow of the American Statistical Association and the Royal Statistical Society and is an Elected Member of the International Statistical Institute. She has served as a primary statistician or co-investigator on several National Institutes of Health (NIH) funded grants and clinical trials in prostate cancer, epidemiology, leukemia, upper aerodigestive cancer, breast cancer and brain cancer, including the Early Detection Research Network (EDRN) grant, the Prostate SPORE (as Director of the Biostatistics Core), the Breast SPORE, and the Brain SPORE at M. D. Anderson. She has significant publications in statistical methodology, computing, biomedical, and in other applied specialist journals. Her most recent interest is in the development of clustering and analytic methods for genomic and proteomic expressions. She has developed bioinformatics software and authored books: (i) Analyzing microarray gene expression data; (ii) Bayesian Inference for Gene Expression and Proteomics. Her extensive contribution to statistical and cancer research at M.D. Anderson has resulted in more than 130 published articles in the past years. Analyzing data from multiple platforms of genomics data with patients clinical outcomes helps us to understand the complex underlying biological process of a disease, as well as how this process relates to the prognosis of the disease. Our proposed model, integrative Bayesian analysis of genomics (iBAG), uses a hierarchical modeling technique to integrate multiple platforms as well as the biological regulatory networks underlying them into one model to discover genes important to patients clinical outcomes. With Bayesian sparsity priors, this framework adapts to the high-throughput data and performs coefficient estimation and variable selection simultaneously. Our simulation studies show that iBAG performs better (with a higher C-index) in discovering genes related to patients clinical outcomes compared to other existing integration models and the single-platform model. We applied iBAG to integrate gene expression and methylation data to study their associations with patient survival for the Cancer Genome Altas (TCGA) glioblastoma study. We discovered many new methylation-regulated genes that are potentially related to patient survival. This is joint work with Wang, Wenting; Baladandayuthapani, Veera; Broom, Bradley, and Morris, Jeffrey. Professor Matt Wand is a Distinguished Professor of Statistics in the School of Mathematical Sciences, University of Technology Sydney. He has held faculty appointments at Harvard University, Rice University, Texas A&M University, University of New South Wales and University of Wollongong. 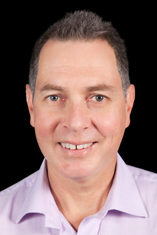 In 2008 Professor Wand became an elected Fellow of the Australian Academy of Science. In 1997 he was awarded the P.A.P. Moran Medal for statistical research. He is also an elected fellow of the American Statistical Association and the Institute of Mathematical Statistics. Professor Wand has co-authored 2 books and more than 90 papers in statistics journals. He has 6 packages in the R language on the Comprehensive R Archive Network. In 2002 Professor Wand was ranked 23 among highly cited authors in mathematics and statistics for the period 1991-2001. He is also a member of the ‘ISI Highly Cited Researchers’ list. Since 2000 Professor Wand has been principal investigator on 5 major grants. The most recent one, an Australian Research Council Discovery Project, is titled ‘Fast Approximate Inference Methods for Flexible Regression’ and will run for the years 2011-2013. Semiparametric regression is an extension of regression that permits incorporation of flexible functional relationships using basis functions, such as splines and wavelets, and penalties and is now well-developed for cross-sectional, longitudinal and spatial data. Almost all semiparametric regression analyses process the data in batch. That is, a data set is fed into a semiparametric regression procedure at some point in time after its collection. This talk discusses doing semiparametric regression in real time, with data processed as it is collected and made immediately available via modern telecommunications technologies. Regression summaries may be thought of as dynamic web-pages or iDevice apps rather than static tables and figures on a piece of paper. Online processing of data is an old idea and has a very large literature. Our work uses Bayesian approaches, that handle automatic choices of smoothing parameters, and make use of fast variational approximations that are amenable to online updating. This talk represents joint research with Dr Jan Luts. Also mention that you are booking in relation to the “Bayes on the Beach” conference for a special rate. A 1 day short course on Monday November 5 (adjacent to the conference) by Professor Matt Wand. M. P. Wand and R . J . Carroll (Cambridge University Press, 2003). The special session on Bayesian optimal experimental design will be organised by Dr James McGree.